We hope you enjoy these recipes. 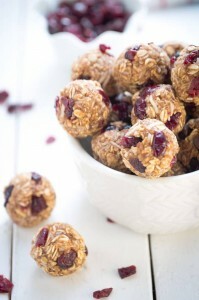 You CAN eat healthfully through the holiday season without sacrificing flavor or enjoyment! This flavorful recipe is a true home run. The onion in this recipe serves two purposes: It raises the chicken out of the juices while it cooks and it imparts a lovely flavor to the pan sauce. After cooking, the onion is discarded, rather than eaten, to keep the overall carb count low. 1. Preheat oven to 425° F and arrange onion slices in bottom of a large, heavy-duty 12″ skillet with high sides. 2. Remove and discard neck and giblets from chicken and place bird breast-side up on top of onion slices in skillet. Pat chicken dry with paper towels and generously season the outside with salt and black pepper. 3. Separate out approximately 1/3 of the fresh thyme, rosemary, and sage from the bundle. Remove and discard the tough stems from the thyme and rosemary leaves. Combine the leaves with the sage before roughly chopping. 4. Add the softened butter, half the minced garlic, and the chopped fresh poultry herbs in a small bowl and stir to combine. Divide the herb butter into small chunks before tucking evenly under the chicken skin covering the breast meat. 5. Massage the remaining minced garlic inside the cavity of the bird before stuffing with the remaining fresh poultry herbs. Secure legs together with kitchen string, and then add the chicken broth to the skillet. 6. Place skillet in pre-heated oven and roast for 1 hour and 30 minutes or until a meat thermometer inserted into the thickest part of the thigh reads 165° F. Check every 30 minutes while cooking to make sure the skin isn’t becoming too brown. If it is, cover with aluminum foil after 1 hour and check for doneness after another 15-20 minutes. 7. 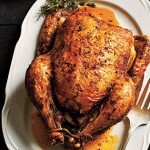 Remove skillet from oven and carefully transfer chicken to a serving platter. Cover loosely with aluminum foil to keep warm and let rest for 15-20 minutes. Actual cooking time will vary depending on a number of factors, including the starting internal temperature of the beef. Therefore, allow the beef to rest at room temperature for 20-30 minutes before roasting and use an instant-read thermometer to check for doneness. For medium-rare, remove from oven at 140°F. The temperature will rise to 145°F as it rests. 1. Place oven rack in center position and pre-heat oven to 350°F. 2. Melt one tablespoon coconut oil in a large, high-sided skillet over medium heat. Add the mushroom and shallots and season with salt and black pepper, to taste. Cook, stirring occasionally, until the mushrooms and shallots develop a bit of color and soften, approximately 4-5 minutes. Remove from heat and transfer to a bowl and set aside. 3. Melt the remaining coconut oil in a small bowl in a microwave. Add the rosemary and garlic to the coconut oil and season with salt and black pepper, to taste. 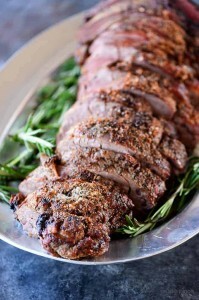 Rub the rosemary-garlic mixture on top and all along the sides of the beef. 4. Arrange the sliced red onion on the bottom of the same skillet and place the seasoned beef tenderloin on top of the onions. 5. Arrange the mushroom and shallot mixture around the sides of the beef and place in the pre-heated oven for 45-50 minutes for medium rare or longer for more well done results. 6. Remove from oven and rest for 10-15 minutes before serving. Enjoy! 1. Preheat oven to 400°F and grease a 9×13″ baking dish with 1 tablespoon melted coconut oil. Set aside. oil, sage, and thyme in a large mixing bowl. Season with salt and black pepper, to taste, and toss to combine. into an even layer. Place in the pre-heated oven to roast just until the butternut squash is fork tender, around 25-30 minutes. 4. 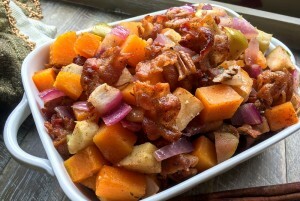 While the butternut squash mixture is roasting, heat a large sauté pan over medium heat and add the bacon. Cook, stirring occasionally, until the bacon is cooked through and crispy, approximately 8-10 minutes. Transfer the bacon to a small mixing bowl lined with paper towels to absorb excess grease. Blot off remaining grease on top and set aside to cool for 5-10 minutes. This delicious side dish is full of caramelized flavor punctuated by tasty bits of bacon and crispy goodness. Pair this dish with fish or roasted chicken for a wonderful, low-carb meal. Cook bacon in a large cast iron skillet over medium-high heat, turning once to ensure it is cooked evenly on both sides. Cover pan with a splatter guard while cooking, if desired. Remove skillet from heat and place cooked bacon on a wire rack set over paper towels to drain. Once cool, blot bacon with paper towels to remove excess fat before crumbling. 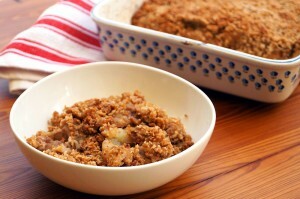 After skillet has cooled slightly, carefully drain the excess bacon fat into an empty can or other heat-safe container. If any fat drips down the side of the skillet, be sure to wipe it off with a damp dish cloth before putting it back on the burner. In a large bowl, combine Brussels sprouts and olive oil /melted coconut oil and toss to coat. Season with salt and freshly ground black pepper, to taste. 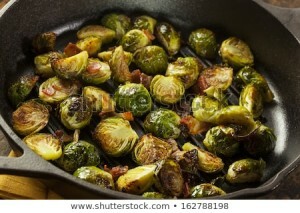 Heat skillet over medium-high heat and add Brussels sprouts and cook for several minutes until they begin to turn brown. Add the crumbled bacon to the skillet and place in the pre-heated oven. Roast for 20-25 minutes, stirring halfway through, until the sprouts turn a rich, caramelized color. Remove skillet from oven and serve immediately. 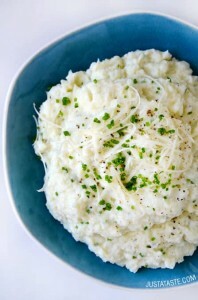 This flavorful cauliflower mash comes together in under 30 minutes, so it is perfect for those busy weeknights when you want to get a healthy dinner on the table without too much fuss. Tip: Steaming the garlic along with the cauliflower will reduce its strong raw flavor. 1. Place the cauliflower florets and the garlic cloves into a steamer basket set over a pot of gently boiling water. Cover and steam until the cauliflower is fork-tender, around 15-20 minutes. 1. Add cranberries, pear, ginger, rosemary leaves, maple syrup, and water to a medium saucepan. Cook over medium high heat, stirring occasionally, until the mixture starts to boil and the cranberries burst open, approximately 5 minutes. 2. Reduce heat to medium-low and simmer for another 5-10 minutes. While cooking, mash the cranberries and pears with a wooden spoon. Season with a pinch of sea salt and stir to combine. 3. Remove from heat and allow sauce to cool for 15-20 minutes before checking the consistency. Add a little water if the sauce is too thick. Taste and add more maple syrup for a sweeter sauce, if desired. 4. 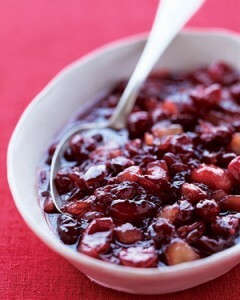 Optional: For a smoother sauce, blend one-half of the cranberry mixture in a food processor or blender until smooth. Stir puree back into the remaining sauce before serving. 5. Serve immediately or chill before serving. Enjoy! 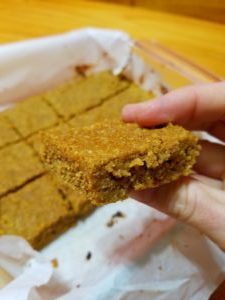 Grain free, gluten free, low carb/Keto friendly, dairy free. Gut-healing bone broth adds more nutrients and protein if added. A great dessert or treat if you’re not a pumpkin pie fan. Add wet ingredients in large bowl & combine using a hand mixer, mixing well. Add in dry ingredients slowly with the hand mixer. Transfer to parchment lined Pyrex (I used 8×8 square) and spread evenly using a spatula. Bake at 350F for 20-25 minutes, or until a toothpick removes clean from the center. Mix all ingredients in a large bowl, combining the honey, almond butter and vanilla first, then adding the dry. Scoop into tablespoon size balls and form into desired shape. Freeze for at least 30 minutes. Store in freezer or refrigerator.